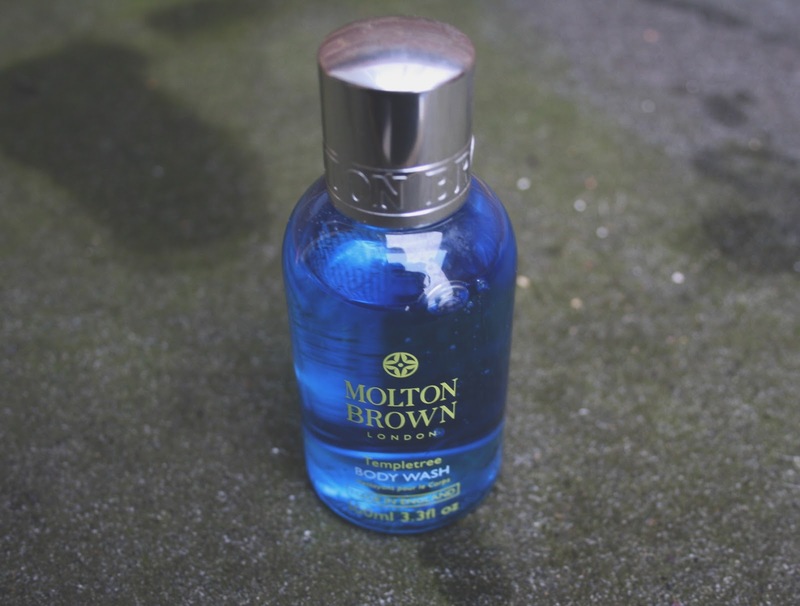 Anyone who casts their eyes over my little blog on a regular basis may have seen me write up my thoughts on Molton Brown Black Peppercorn Body Wash will know that I loved the manly fragrance and the fact that it banished BO (body odour). I was impressed, so when that ran out and a bottle of Molton Brown Templetree Body Wash appeared I couldn’t wait to try it out. 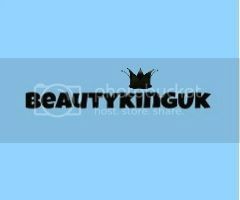 I was so eager to try it that once again I committed the cardinal sin of beauty blogging by using it before taking photographs from several thousand angles - you would have thought I would learn but….. Anyway, a small 100ml bottle of Templetree appeared, spookily a day after I had commented on a picture of it on Instagram saying I wanted to try it. Not spooky really, I could probably pick fifty random beauty products and the missus will have it somewhere. Needless to say, you don’t have to fear that my opinion has been influenced in any way. If you want to pick this up for yourself you can get a 300ml bottle direct from Molton Brown for £18 here. Like my last post, it could be me being tight with money or just because I have no idea how much things cost nowadays but £18 seems a lot to pay for a body wash. Go on, say it, I’m tighter than the rear end of a fish..…. ‘A blissful bath and shower gel blended with moisturising algae extract and purifying templetree flower extract. Well, I now know what it used to be called, and the way my brain works I’ll retain that useless fact until the day I expire! Like other Molton Brown body wash this lathers up really well even when using only a little. If you look at the bottle in the pictures you can see how much has been used - that is after I had used Templetree for three days, so a little goes a long way, and in fact this what I consider small 100ml bottle will last for ages. The fragrance is the clincher for me when I thought about whether I would recommend this. The jasmine and rose give this an incredibly strong aroma that is only magnified by the hot water of a shower. The lather retains it’s rich texture for ages and as it is absorbed into the top layer of skin you really start to just pull out the rose notes. While a lovely fragrance not that manly - so I was pleased that like an aftershave, once dried it took on a warmth as the rose was replaced by subtle hints of the sandalwood. For me, once dried off the fragrance is perfect for both sexes, not too feminine and not too masculine. But does it banish BO? Yes, yes it does, and even better, once it has helped wash the stink off it does have a positive effect on my skin, it does feel smoother - it’s not groundbreaking but there is an obvious difference. Like most things I suppose, it depends upon your own personal preference, but if you like subtle floral fragrances with a solid warm base that will help clean away your sins in the shower then this baby is for you. Personally, and considering I’m tight I will buy this when the current body runs out. Hell, a 300ml bottle would probably last me for months! Molton Brown products are lovely and I really like the idea of this fragrance. LOVE Molton Brown, I'm a big fan! This is my favourite Molton Brown fragrance from it's blissful templetree stage. It smells amazing. Love the honesty Liz! The body wash fairies bring mine! It is quite expensive and my fiance calls me scrooge so wouldn't want to spend 18 quid but I really like their fragrances too! awww hubs has this one already and is a totally convert to their products these days .. it smells lovely! I love Molton Brown. Luxury in a bottle! I have to admit I would think twice abut the price though, but if it lasts a long time then that is good. I agree on the price, I think I'd really struggle to spend that much on a shower gel when you can get so many really nice ones for a fraction of that - the Molton Brown products DO look really luxurious and fancy though! I love Molton Brown and find that many of their products are a great inbetween frangrance for both men and women. This one sounds great, will look for a tester to test the fragrance. This must be a great one!! Thats a nice product, we recently went on holiday and in the bathrooms they had Molten Brown products.They smell divine. I haven't heard of it before, but it sounds like a good one. This sounds really interesting. I'll have to look out for it.